While travelling through Belgium we stumbled across an interesting shop in the town of Namur - the shop was filled with wonderful ceramics all made by the artist Odette Dijeux (what a great name!) who we were lucky enough to meet and chat with. 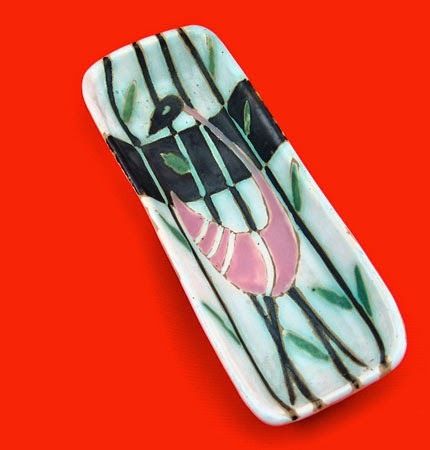 Quite a few pieces came home with us, most of which have since sold but there is one unique piece left, this gorgeous ceramic dish which you can have a closer look at over at this link.